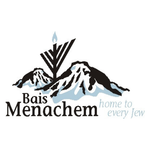 Thank you for taking the time to support Bais Menachem by becoming a member/renewing your membership. We truly appreciate your support, and with your help, we continue to grow stronger within our thriving community. Our Membership structure is very simple and the one price includes all members of the family until they leave home. All membership requests will be acknowledged by email.